Francis “Chip” Peters is the Commercial Counselor for the U.S. Commercial Service at the U.S. Embassy in Nairobi, Kenya. Prior to that, he spent a year at the Commercial Service office in Minneapolis; served for three years as the Commercial Attaché at the US Embassy in Bangkok assisting US exporters expand their markets in Thailand, Cambodia, and Laos; and served three years as a Commercial Officer in the U.S. Consulate in Shanghai, China where he led the office’s high-tech and chemical industry teams. For 14 years, Chip worked in the private sector in the telecom and computer industry. He held positions in global marketing, international sales, and product management with Fortune 500 companies AT&T and Dell in the U.S. and Malaysia, as well as with high-tech startups in Austin, Texas and Thailand. For four years, Chip also ran his own consulting business, delivering strategic marketing and communication solutions for client firms. He has lived and worked Asia for more than ten years. In addition to his business experience, Chip taught international trade and finance for four years as an adjunct professor at St. Edward’s University in Austin and served two years as a U.S. Peace Corps volunteer in Mali, West Africa. Chip holds a B.A. from Union College, an M.A. from Columbia University, and an M.B.A. from Chulalongkorn University. He is married with two children. Small and midsize U.S. businesses looking to expand into new markets should not overlook international partnering opportunities. By signing up a distributor or dealer overseas, your product or service can have a global reach. International trade shows provide broad access to potential customers and partners. 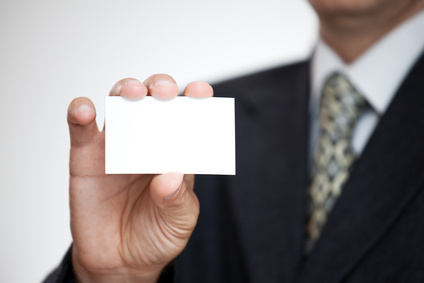 Even in today's digital age, the exchange of business cards remains a common practice. A business card is an effective tool for both broadening your network of contacts and promoting your company. This is especially true for a small and medium-size company looking to expand internationally. In many countries, business cards are exchanged at the onset of introductions and thus play a role in fostering long-term business relations. A business card is a reflection of your company and can create an important first impression. 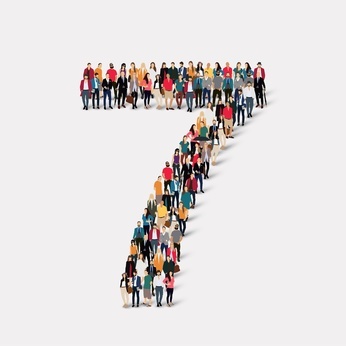 In fact, when handled effectively, it can be one of your company's most valuable marketing tools to promote and further the credibility of your business. Smaller businesses often think that exporting is only for large multinational companies. But that's usually not the case. In fact, more than 97 percent of all U.S. exporters are small and medium-sized businesses employing less than 500 people. What's really surprising is the number of businesses that aren't exporting. According to the U.S. Department of Commerce, less than one percent of the 30 million companies in the U.S. actually sell their products internationally. Many of these firms could benefit from exporting, but have yet to do so. Many small and midsize companies in the U.S. deal with overseas clients and vendors every day. Meeting your international business contacts in person often provides the chance to strengthen business relationships. Such occasions also offer excellent opportunities to make presentations about your company, products or services. There are some steps you can take when presenting to an international audience to help ensure you'll be understood.